Chris Washington (Kaluuya) is a young, gifted photographer whose work is beginning to be noticed. He’s also black and in a relationship with Rose Armitage (Williams), who is white. Invited by her parents to come stay for the weekend, Chris is anxious about meeting them, fearing they might be uncomfortable with their daughter dating a black man. But Rose reassures him, and tells him that her parents haven’t a racist bone in either of their bodies, and if he could have, her father would have voted a third time for Barack Obama. They set off, but along the way their car collides with a deer, causing some damage but not enough to stop them from reaching Rose’s parents’ home. Once there, her parents – Missy (Keener) and Dean (Whitford) – greet them both warmly, but Chris is perplexed by the odd behaviour exhibited by the Armitages’ housekeeper and gardener, Georgina (Gabriel) and Walter (Henderson), who are both black. Later that evening Chris meets Rose’s brother, Jeremy (Jones), whose behaviour is provocative and aggressive. He also continues to observe Georgina and Walter behaving strangely. When Missy persuades Chris into sitting with her, he finds that she’s hypnotising him, and he ends up in the Sunken Place, a limbo he can’t return from. At least, that’s what he believes, as he wakes the next morning, confused about what’s happened to him but finding his smoking habit is now cured. He also finds his mobile phone has been somehow disconnected from its charger. At an annual get together that the Armitages hold for their friends, Chris is surprised to see another black man arrive with a much older white woman. But the black man behaves just as oddly as Georgina and Walter, even going so far as to grab Chris and yell at him to “get out”. Chris voices his suspicions that there is something sinister going on, and Rose agrees to leave with him. But when Chris discovers evidence that makes him scared for his life, leaving proves to be far more difficult than he could have ever imagined. 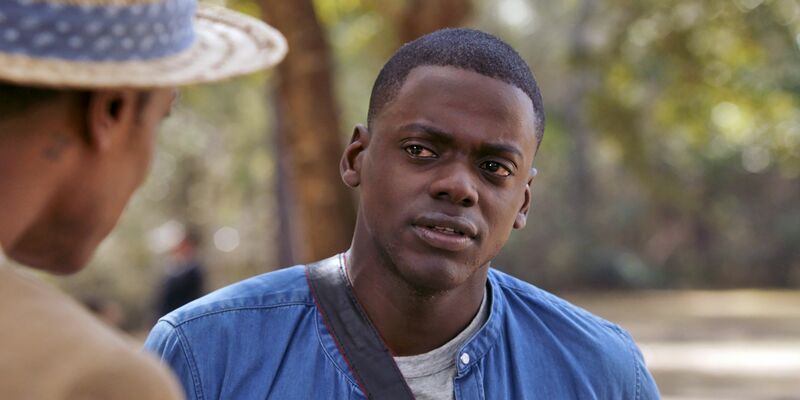 Ever since its debut at the Sundance Festival back in January this year, Get Out has attracted a lot of attention for being a horror movie that takes a satirical look at contemporary racial attitudes in the good ole US of A. The movie certainly paints a satirical portrait of white liberal hubris that’s hard to ignore, but its basic premise – once it’s revealed – plants the movie firmly in paranoid thriller territory. 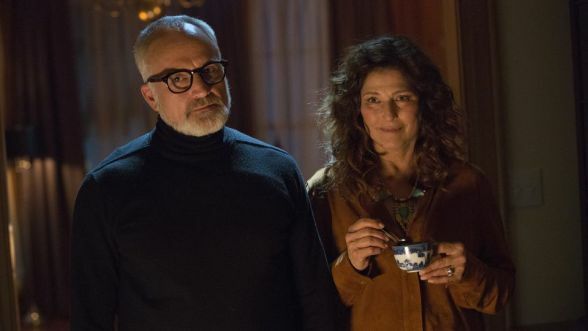 So while there are some standard horror tropes on display, they take a firm backseat to the mystery that is carefully developed by first-time writer/director Jordan Peele, and which proves far more satisfying for its Twilight Zone stylings than for any horror trappings Get Out may be trying to appropriate. This isn’t to say that the movie is unsure of just what kind of a movie it wants to be, far from it. It’s just that appearances can be deceiving, and Peele instills his tale of racial profiling and assimilation with so many genuinely unsettling moments that mistaking Get Out for a horror movie is only natural – and that’s without its ultra-violent, cathartic final fifteen minutes. But in terms of Peele’s acidulous look at the state of racism in modern day America, the movie is on much firmer ground. Chris’s fear that Rose’s parents won’t approve of him reflects the lingering sense of outrage over miscegenation that still resonates within the US. Despite all the advances made since the Civil Rights movement in the Sixties, Peele is saying these attitudes still prevail, subconsciously perhaps, but then that’s the point: they’ve never really gone away, and they never will. Whisper it if you must, but racism is endemic to the American psyche. That’s a pretty blatant way of putting it, but Peele is much more subtle than that, and finds various clever ways of getting his message across. This allows the movie to flesh out its subplots – notions surrounding the nuclear family, self-determinism, and social acceptance – unencumbered by the need to be forthright or didactic. Peele is confident enough in his central narrative that he can give these subplots their due, while also playing around – successfully – with the movie’s tone. It starts off as a relationship drama, slightly anecdotal, but set up in such a way that Rose’s parents seem like just another liberal white couple with awkward yet good intentions. The introduction of Walter and Georgina and their odd behaviour allows the thriller elements to begin to take centre stage, and Peele handles the growing uncertainty of what’s really happening with a sureness of touch that’s surprising in someone making this kind of movie for the first time. Following on, the movie descends into paranoid conspiracy territory, with Chris’s fears amplified by each successive clue he discovers, and with each one serving to reinforce his paranoia. And then we’re in full-on horror mode, as Peele pulls out all the stops to give the viewer a rousing, blood-soaked resolution. Peele displays complete control over the material, keeping each tonal shift feeling organic and unforced. And he keeps the irony spread throughout the movie, allowing it to show itself and act as a counterpoint to the serious nature of the overall material. But Peele’s comedic background won’t be denied either, and there are times when the movie is flat out funny. This is largely due to the inclusion of Chris’s friend Rod (Howery), a Transport Security Administration (TSA) officer who acts as the movie’s comic relief. Again, it’s a measure of Peele’s confidence in his material that he unites these disparate elements and makes them mesh together to such good effect. 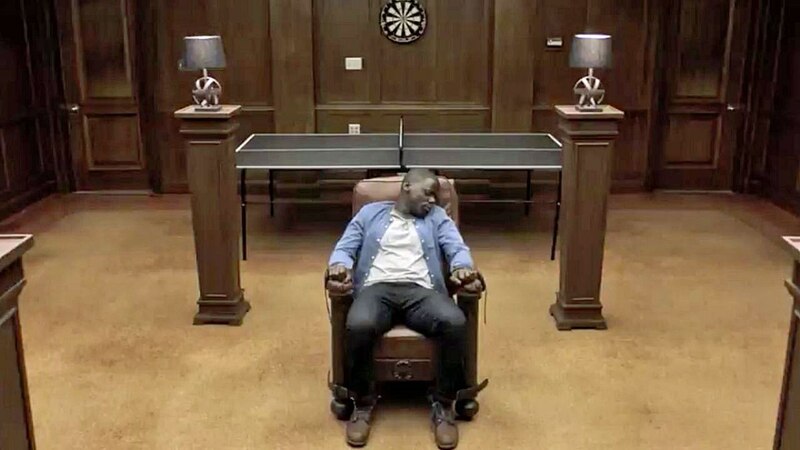 But while there is much to recommend Get Out, Peele does drop the ball at times, with some scenes feeling unnecessary or out-of-place – the car-deer collision and its racist cop aftermath, a telephone conversation between Rose and Rod – and his command of the camera (one of this movie’s key strengths) failing him at key moments. But these don’t harm the movie insomuch as they draw attention to themselves when they occur, making for a handful of jarring moments that crop up here and there. At all other times, Peele and his crew, including DoP Toby Oliver, editor Gregory Plotkin, and production designer Rusty Smith, combine to make Get Out one of the boldest and most assured first feature’s for some time. 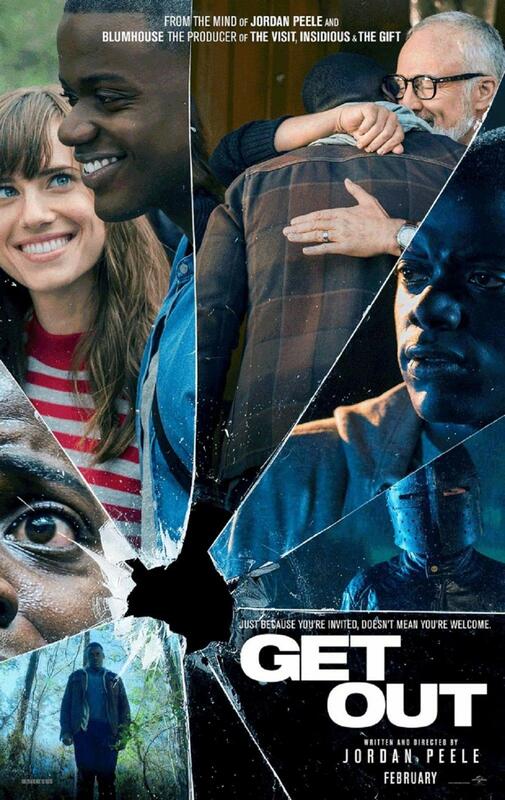 Rating: 8/10 – a multi-faceted racial drama/horror/mystery hybrid with satirical overtones (and undertones as well), Get Out is one of the more polished and convincing thrillers you’re likely to see in 2017; well thought out, constructed and delivered, its writer/director deserves all the praise that’s been coming his way, and if he wants to give up his comedy day job and make more movies like this one, then that will be absolutely fine.